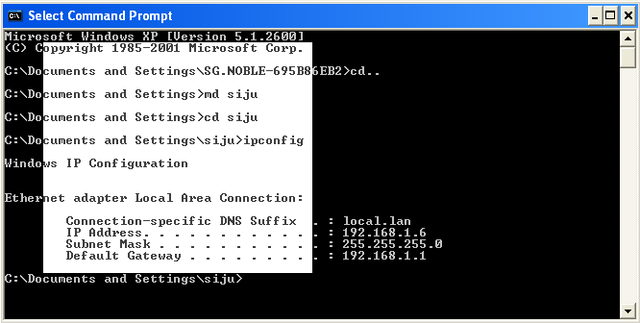 By default, we cannot select or copy content from Command Prompt to notepad because it is disabled. Similarly, we cannot paste script or text from notepad to DOS Prompt which is very important if you are performing troubleshooting by reading a guide. It is required to run the script or commands noted in the guide on MS-DOS to complete the troubleshooting. It would be very much helpful if you can directly copy the command from notepad to DOS prompt. However, defaults settings do not allow this feature. If you try to select a particular text from it, your mouse fails and no copying will be performed. 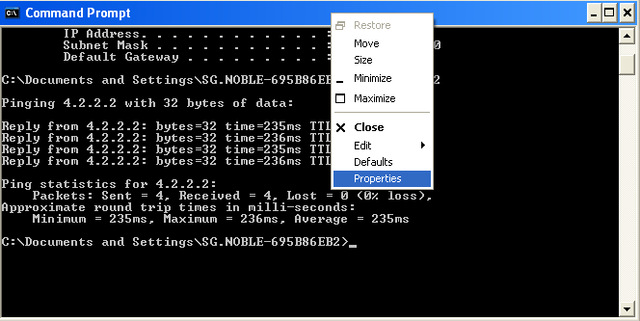 'Select all' option in Command Prompt too will not help but a little change in its properties settings will allow us to select and copy content to the Windows clipboard. This tutorial explains how to enable copying and pasting feature on DOS Prompt. Here we are going to change the default settings on MS-DOS to enable copying text from it. The same settings will enable pasting script on DOS from notepad. Now the properties window will be opened. In order to enable selection and copying, we need to check Quick Edit Mode and click OK.
Now you will see another window asking whether the changes apply to the current window only or modify the shortcut that started this window. If you are looking for a way to just activate text selection and copying for the current window only, you should select Apply properties to current window only. If you like to activate the content selection and copying properties for all time, you should select the option Modify shortcut that started this window. 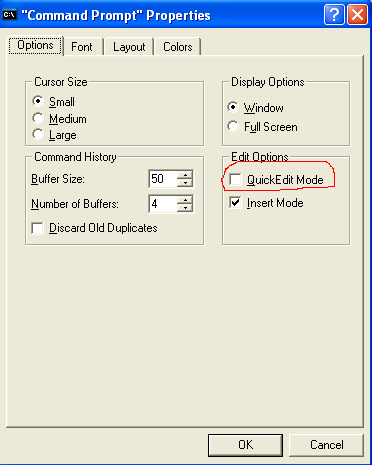 After selecting the right option click OK.
Now we have enabled Quick Edit Mode and now it is easy to copy content from the DOS. In order to copy and paste text from the command prompt, you should select the desired content using mouse point and either press enter button or use the following keyboard combination [CTRL] + [C]. By using the keyboard combination [Ctrl] and [V] we can paste the copied content to notepad or any other text editor software.